• A study that shows how yoga increased blood vessel flexibility 69% and even helped shrink arterial blockages without medications! 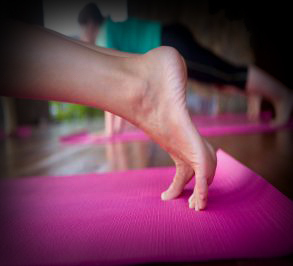 Yoga can help ease arthritis by increasing your range of motion and improving flexibility. The feel-good hormones that yoga promotes can also help alleviate stress that often increases pain. If you have arthritis, follow these recommendations. Go easy. You should steer clear of vigorous practices that may aggravate already damaged joints. Keep moving. A gentle Vinyasa or flow class may be preferable to a class where postures are held for longer periods of time. Holding static postures may be painful for some people with arthritis. If this is a problem for you, gently move in and out of a posture even if the rest of the class is holding it. (It’s best to let the instructor know ahead of time that you have arthritis and might need to do this.) For example, instead of holding a static warrior pose (a lunge with one leg bent and the other straight), gently bend and straighten your front knee in an easy rhythmic way. Delay your practice until later in the day. With some types of arthritis (such as rheumatoid arthritis), joints tend to be stiffer in the morning. Waiting until later in the day allows your muscles and joints to loosen up. Only you can tell when yoga will feel the best for you. Pay attention to your body, and practice yoga at the time of day that feels most appropriate. Check with your doctor about flare-ups. When your joints are hurting, you may still be able to do yoga, but for a shorter length of time or at a lower intensity than usual. This may help to keep your joints mobile. For people with rheumatoid arthritis, doing yoga despite a flare-up is empowering, but for others, the opposite is the case. So talk to your doctor and consider how you might react before making a decision on whether to take a day off. And remember, you could always do some breathing exercises and meditations instead of postures. 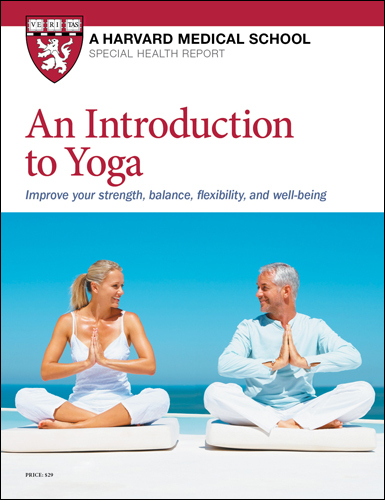 Research suggests that yoga can help to lower high blood pressure. But when you do any type of exercise, including yoga, your blood pressure tends to rise in the short term. Here’s how to keep it under control when you’re on the mat. Choose middle ground. Vigorous practices, as well as more static ones in which you are holding poses for longer periods of time, can raise blood pressure. To minimize any spikes, move gently from one pose to the next, and move within a pose if it is being held for more than 10 seconds. Rest more. Just because the class is still holding downward-facing dog doesn’t mean you have to. Simply bring your knees down to the mat and rest in child pose Taking rest breaks between moves will help to keep your blood pressure lower. Don’t hold your breath. Lots of people do this when they are stretching, but it can cause your blood pressure to spike. Instead, remind yourself to keep breathing. This helps to keep your blood pressure down. Also, don’t strain to lengthen your inhalations and exhalations or force your chest or abdomen to expand as you inhale. Keep your head up. Inverted postures, like head or shoulder stands, should be avoided by beginners, but this precaution is especially important if you have high blood pressure. These postures cause significant rises in blood pressure. Make meditation mandatory. This is done at the end of class, sometimes while lying in corpse pose. If your blood pressure has gone up during your practice, relaxing at the end kicks in your body’s parasympathetic response, which slows your body down and lowers blood pressure and breathing rate. There is emerging evidence that yoga postures may help keep bones strong. For one 2016 study, 30 postmenopausal women with osteoporosis took classes four days a week for six months. At the end, their bone density had increased somewhat. However, certain yoga moves may be risky if you have a severe case. Flex forward with caution. When you do standing or seated forward bends, knees-to-chest, or catcow, you are performing forward spinal flexion. The front part of the spine is compressed during this type of movement, which may increase risk of fractures if you have severe osteoporosis. If you already have a compression fracture, you should avoid forward bends completely. Check with your doctor before doing side bends and twists. These actions compress the spine and may increase the risk of a fracture, too. This eye condition results in damage to the optic nerve because of elevated pressure in the eye, so the last thing you want to do is increase pressure in your eyes, as certain yoga postures can do. Keep your head up. Like high blood pressure, glaucoma may be made worse by doing postures in which your head is down, such as head and shoulder stands, downward-facing dog, and forward bends. These positions increase pressure inside the eye, which may raise the risk of glaucoma progression. In one study, even the legs-up-the-wall pose increased intraocular pressure. Don’t hold your breath. It may raise pressure inside your eyes. Stop a pose immediately if you experience sudden eye pain, or if you develop a headache, blurred vision, or the appearance of halos around lights.